Can modern students cope with traditional methods? I saw the new year in in Singapore, a place with a great martial arts vibe. Whenever I'm there I usually take the chance to drop into the Tong Lian martial arts book and equipment store in Bras Basah. 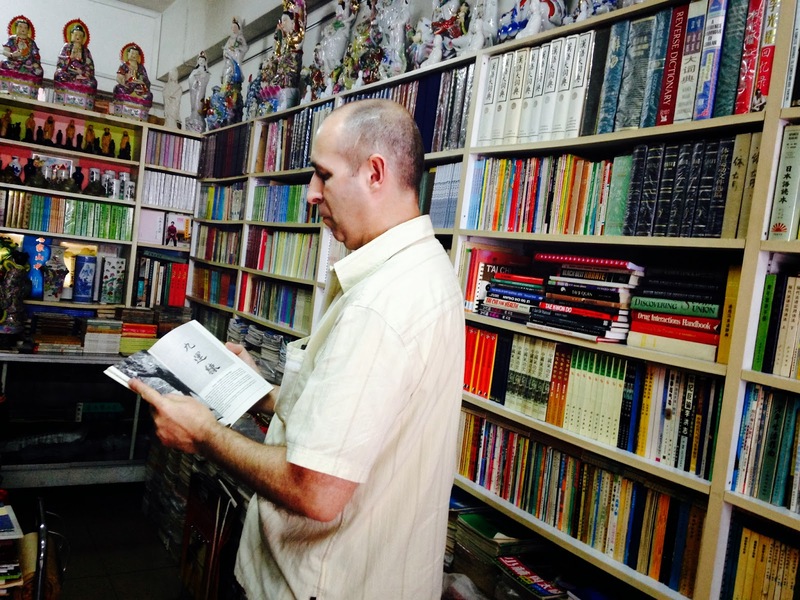 While browsing through some of the books in the store I came across the following quotation from the famous Taiwanese internal martial artist Wang Shujin: "Follow the rules honestly: do not doubt, do not cheat. All these rules come from our ancestors. I did not invent them; I am simply transmitting them". It made me think of Ma Hong, a well-known student of Chen Zhaokui, who passed away earlier this month. He kept copious notes of his years training with Chen Zhaokui, which he documented in a number of books. These were a great reference tool that we turned to in writing our own books. Like Wang Shujin, Ma was adamant that his role was to pass on the knowledge that had been passed down to him. In the last few years we have lost some of the greatest of the older generation of Taijiquan masters - Feng Zhiqiang, Wang Peisheng, Ma Yeuhliang, Yang Wenhu to name a few. These teachers all learned first hand from an older generation in the slow, painstaking way that characterises traditional Taijiquan. "Don't go outside the gate for ten years"
"Three years small success, five years medium success, ten years great success"
"One days practice, one days skill"
I was in Tiantan park in 1998 killing a few days before we travelled to Henan. We walked through the park in the early morning looking at the different Taijiquan and Qigong players. What I was looking for really was any interesting Chen Taijiquan, but what arrested my attention was an old Wu style practitioner. At that time there were lots of groups, some being quite large. Zhang Baosheng was training with one student. As we watched it was immediately obvious that this was high quality Taijiquan. When he finished his routine he came over to chat and we arranged to do some training with him over the next few days. 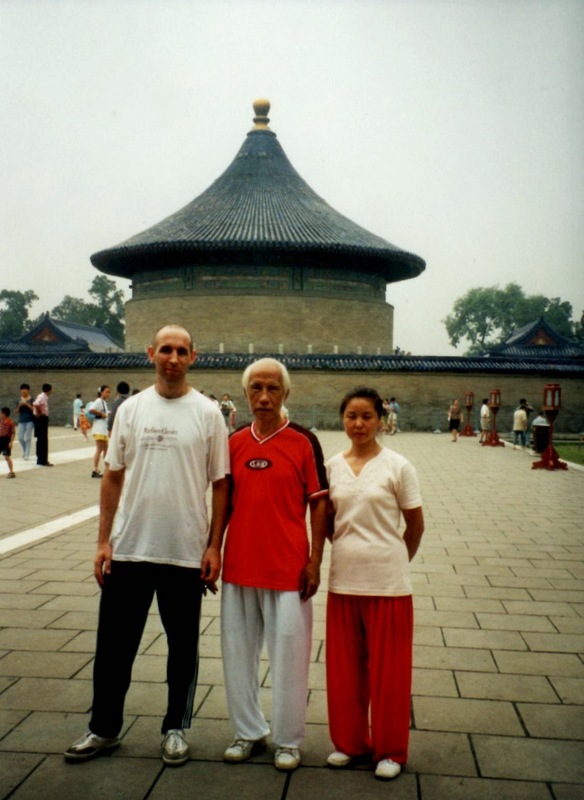 Zhang was a student of the aforementioned Wang Peisheng, who he described as simply the "best Taijiquan teacher in the world"! Zhang believed that there was too much emphasis upon different styles of Taijiquan. To him what was important was understanding the correct method and then being able to apply it practically. For example talking of the merits of different styles pushing hands he simply concluded that "It doesn't matter who is doing what style, the one who is still standing up at the end is doing it correctly". Zhang described the tortuous early years of training fundamentals with his own teacher - everyday for the first few years having to do several hours standing before beginning any form training. 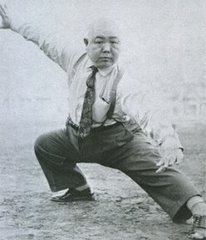 At seventy-three years old he was still very strong doing one legged squats while holding the other leg above his head - as a warm up. Close to Zhang's patch in the park a large group trained in one of the modern simplified forms of Taijiquan. With accompanying music and many of the students chatting casually to each other as the leader set the pace, it was little more than a nice social way to begin the day. His one student, on the other hand was serious and disciplined. When we commented on this Zhang said that unfortunately that was the way it was now - "young people in China are not interested in the old ways". While he felt an obligation to pass on what he himself had been taught, he sadly concluded that the authentic Taijiquan was in real danger of becoming extinct. When we we visited him again in 2005 or 2006 he was in the same place - still training and still looking great. Now in his eighties, and now alone - Zhang's sole student had left to find work. Contrast the above approach with Jet Li's new Taiji Zen project, a high-profile modern example of Taijiquan in the "internet age". Prospective learners are wooed with the possibility of achieving a 9th Duan grade in as little as 3 years. And to validate their "achievement" at each level they receive a certificate signed by Jet Li himself! Forget the fact that Jet Li is a wushu guy who did a little Taiji on the side, the difference in approach could hardly be more striking. But sadly it seems that this is what people want today. I've touched on this phenomena in previous blogs with the explosion of short and simplified Taijiquan forms and fast track instructor courses. If that's what people want that's what they want, but don't anyone kid themselves that they will get any of the often mentioned benefits of Taijiquan. The traditional art is a lifetime process of constant introspective refinement. Traditional skills are hard earned. An individual is said to have "good gongfu", whether it be in Taijiquan or any other pursuit, when it is clear to a skilled observer that they have put three elements into their discipline: The first is that they have studied for an extended period of time; the second is that they have worked very hard or "eaten bitter"; and the third is that they have exhibited yongxin - literally "using their heart" - more than just working hard, they have given it their full, deep and unwavering concentration. Wang Shujin - Don't neglect the fundamentals! I'll leave the last word on whether this fast track type of Taijiquan can give results anything like the old ways to Wang Shujin. 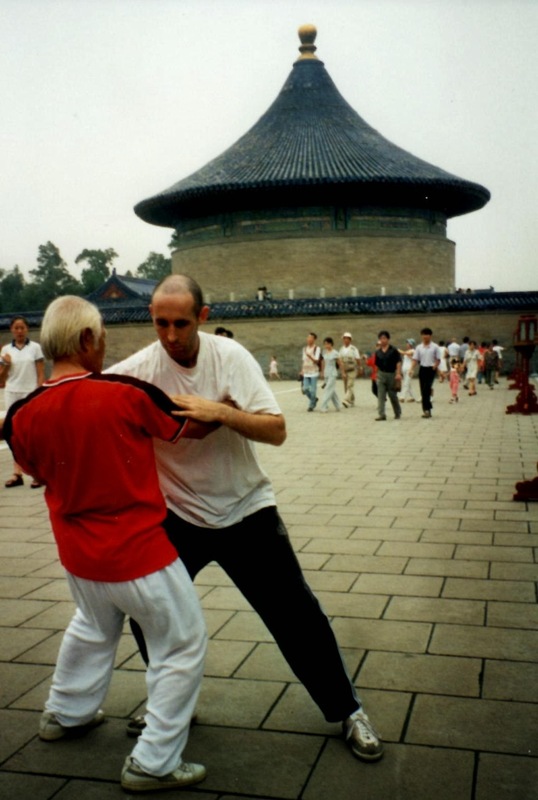 Talking about the merits of slowly and meticulously training the fundamentals of Taijiquan (in this case the likelihood of gaining high skills without seriously training standing): "You must practice Post Standing (Zhan Zhuang). No matter which Chinese martial art you study, Post Standing is considered fundamental practice. In ancient times, students had to practice standing for one or two years before they were allowed to learn any forms. That is why each generation produced outstanding martial artists. Society and people's way of thinking have changed, making adapting to these requirements difficult...If you skip the fundamentals, your form will remain undeveloped and you will be ridiculed by experts".